Tax Invoice A valid tax invoice will show GST included in the sale, the supplier’s Australian Business Number (ABN) and address in Australia. The tax invoice is a valuable document which should be kept safe and produced (or copied) if you ever have any warranty issues. Some sellers on Ebay will provide a tax invoice which is generated through their system. As long as the document meets the requirements set out in the New Tax System (GST legislation) it doesn’t matter what it looks like. This contrasts with invoices or shipping documents that make no mention of the words tax invoice, GST included in the purchase, real name of supplier and his address and the supplier’s ABN. We recommend caution if dealing with a supplier who ships cleaners without a valid tax invoice, because it is extremely unlikely that you are dealing with a registered Australian business who can be forced to adhere to Australian consumer protection laws. Anyway, isn’t it nice to be able to pick up the phone and speak to someone local if you have a problem? We like to think so. Check for C Tick label. Electrical equipment needs a C Tick label to identify the authorised supplier and to show that the supplier can prove the device meets Australian/NZ EMC requirements. Just check your electric kettle or toaster – you will find the symbol there. 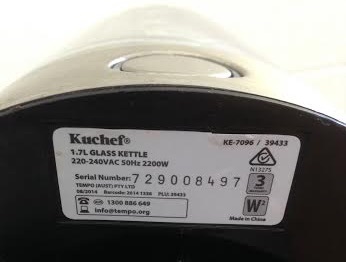 By law, ALL ultrasonic cleaners sold in Australia and New Zealand must have this label, whether imported or manufactured locally. They also require the supplier’s electrical code (usually a number starting with letter N or V, representing the state the company is registered in). NB If the unit does not have a C Tick and the supplier’s electrical code, then it is illegal for sale in Australia and New Zealand and it may also be unsafe. Contact your local Department of Fair Trading and request a refund from the supplier. Check power supply. Most quality units will be manufactured for 240Volt mains supply. Many units will state 220 or 230 Volts, or some range between these. The closer to 240 Volts the better. If the unit is labelled less than 220 Volts its working life can be much less than one made for 240. This is because Australian power supply is generally delivered at or even a bit higher than 240, placing stresses on units that weren’t designed for it. NB Do NOT attempt to use a device made for US power supply (110 Volts). Return it for replacement or refund. But preferably, don’t buy it in the first place. Use a surge protector. Even robust commercial ultrasonic cleaners can fail due to power surges. Like computers, these days, ultrasonic cleaners all have sensitive electronic components which can easily burn out when power spikes occur. We recommend taking sensible precautions, like using a quality surge protector at all times and to remove the device from the power outlet during electrical storms, or when you are absent from the workplace. NB Power spikes can occur without warning, and are not usually detectable by human senses. If an unprotected machine is connected to the power supply when these occur there may be damage caused. The user would only notice when turning on the machine again. We recommend that operators always remove power lead from power point when not in use. That will, at least, reduce the risk. Such events will not be covered by manufacturer’s warranty. The supplier’s code (often a number starting with letter N or V) on an electrical product tells the consumer that the supplier has tested the device for compliance with the Australian/New Zealand regulations for electrical safety. 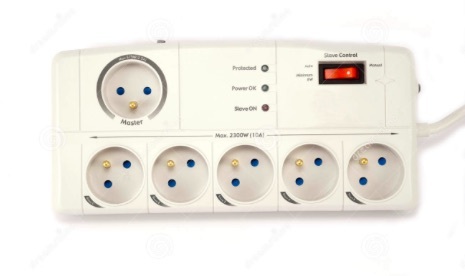 The CE label often seen on electrical products has no meaning under Australian/NZ legislation. CE is intended to show conformance within the European Community, but it is easily confused (possibly deliberately so) with an almost identical CE label which shows Chinese Export.